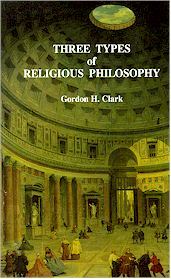 In Three Types of Religious Philosophy Dr. Clark carefully examines Rationalism, Empiricism, and Dogmatism--and for good measure includes a chapter on contemporary theology and philosophy titled "Irrationalism." This is a brilliant overview of philosophy and theology, and an introduction to Christian apologetics at the same time. No Christian should be without it.